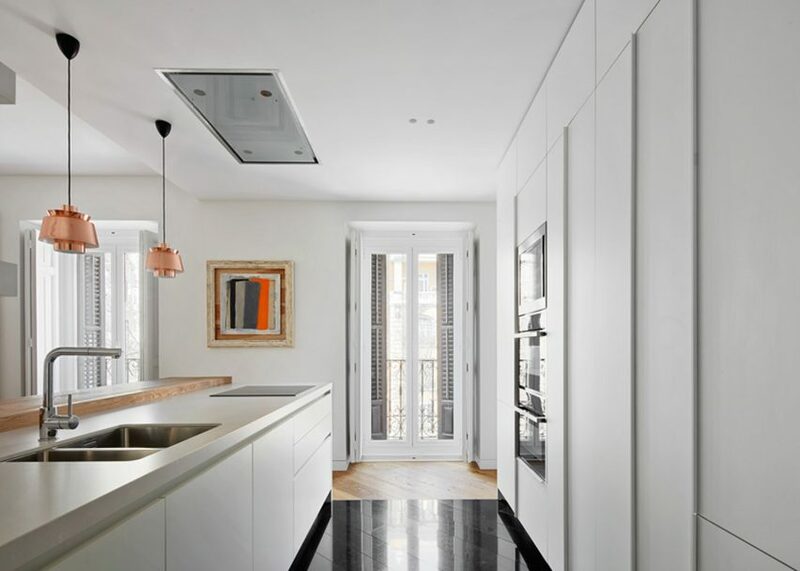 Spanish architecture studio Lucas y Hernández-Gil removed compartmentalising walls inside this Madrid apartment to allow light to flood in from its nine balconies (+ slideshow). 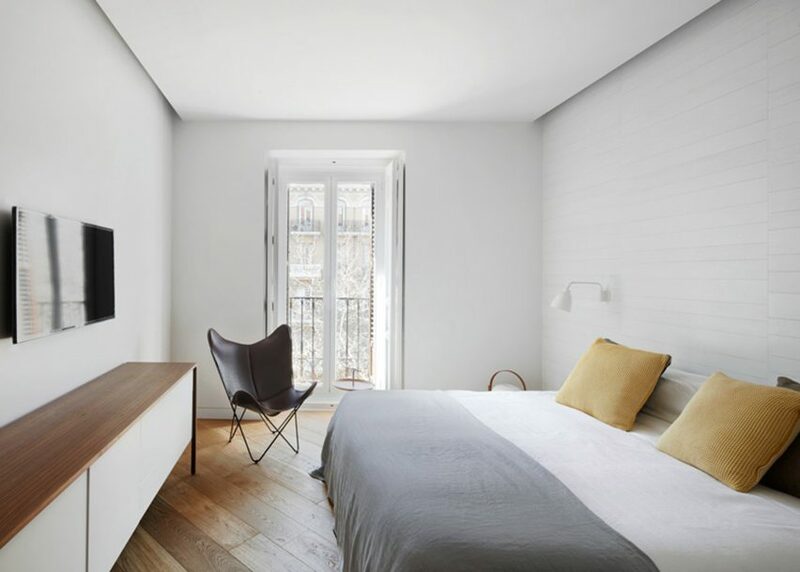 Set inside a late 19th-century building, the PV2 apartment is located close to the Spanish capital's Buen Retiro Park. Before the architects' intervention, the space was split in half by a long but wide corridor, with rooms boxed in by lots of partitioning walls. The architects removed these dividing walls and looked for other ways to segment the space. 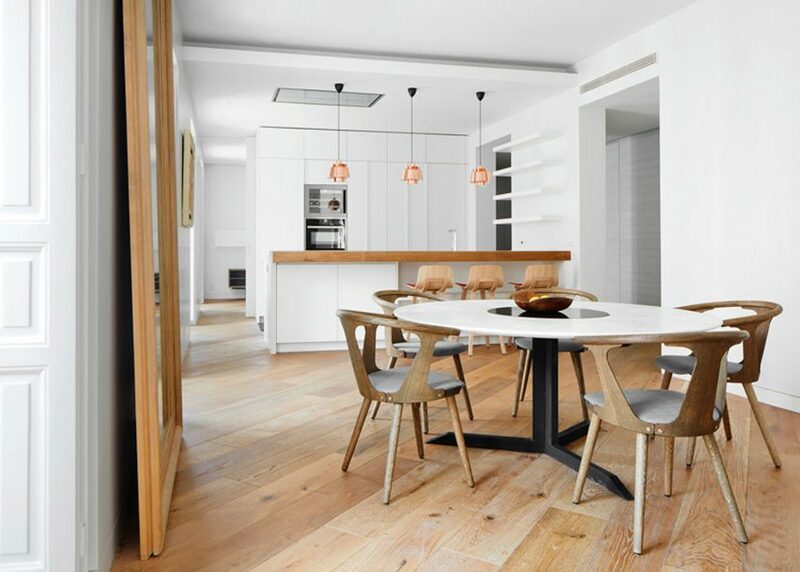 "The living room, dining room and kitchen coexist in a one continuous space," said the architects. 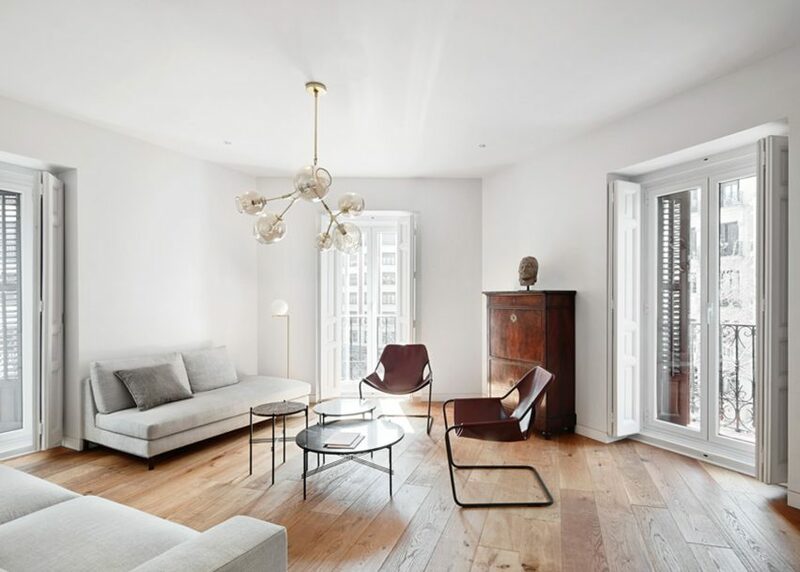 "This is an open and bright space that is only articulated by the fireplace that slightly differentiates the living room." 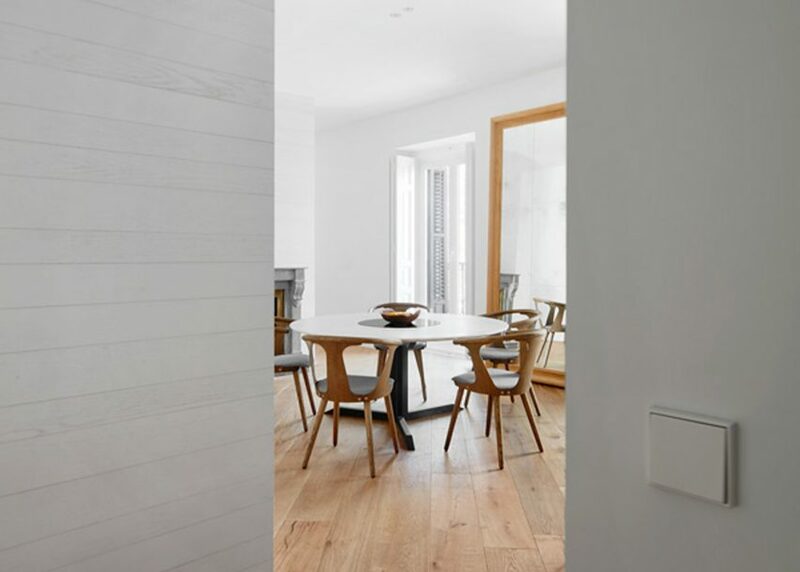 Walls throughout the majority of the property are painted white – contrasting with warm-coloured wooden floorboards. 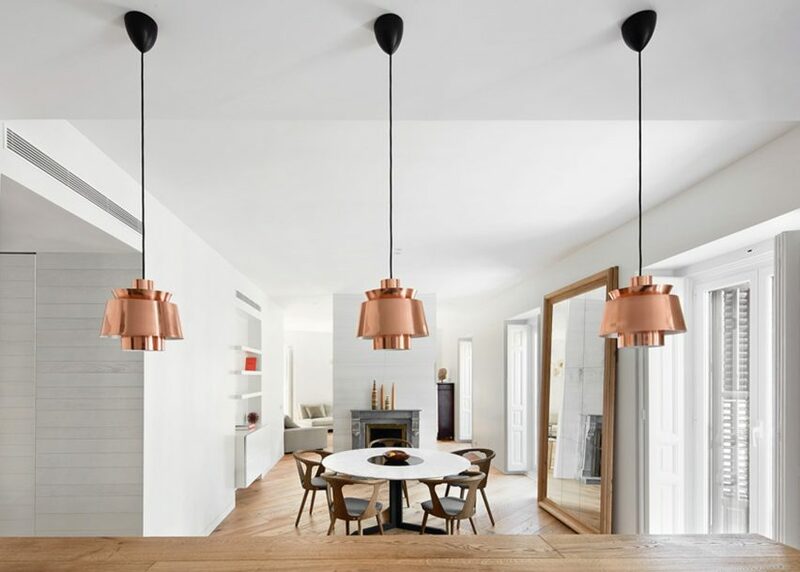 In the kitchen area, copper lighting pendants hang over a breakfast bar. Fixtures and appliances are built into the cabinetry to keep the space as minimal-looking as possible. 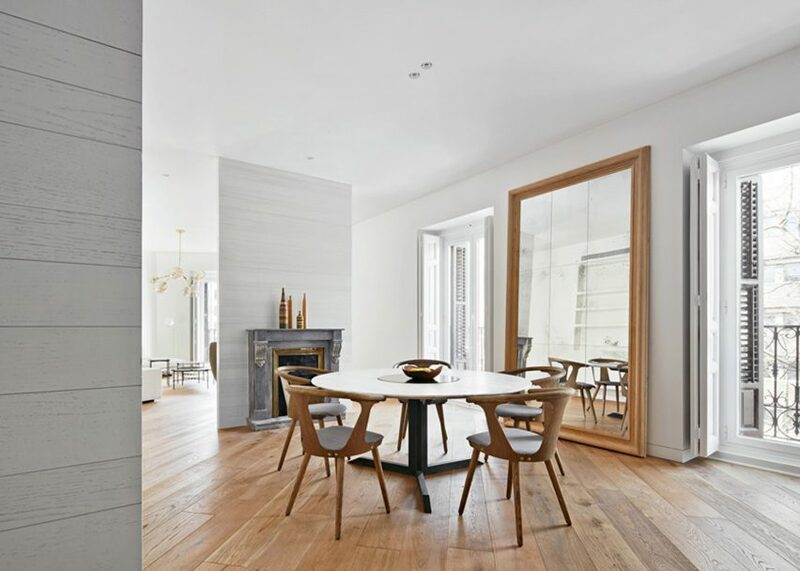 A wooden stud wall slightly separates the dining and living rooms, and is decorated with a maze-like set of shelves. Both bathrooms are lined with grey marble throughout. The smaller of the two appears larger than it actually is thanks to a mirrored wall set behind the washbasins. 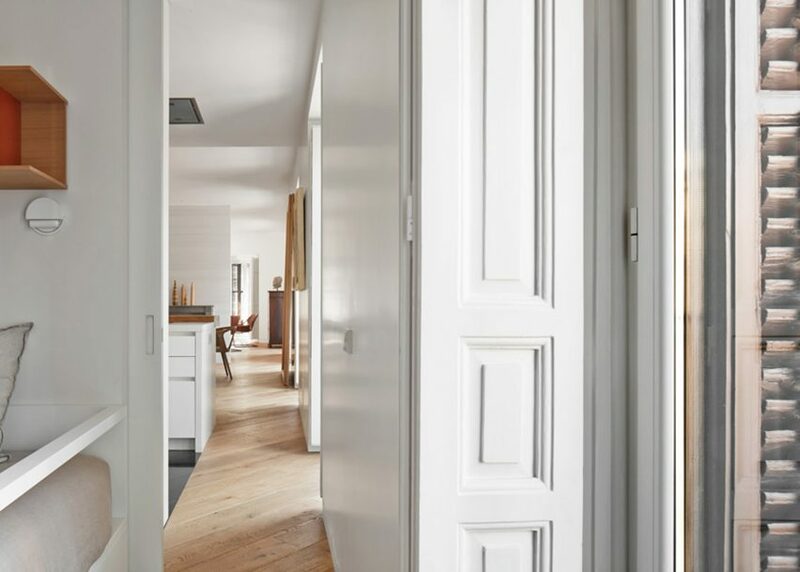 Some walls in the apartment feature white-painted wooden panelling, which the architects added in to create a dialogue with the building's history. "We pretended a dialogue with the original architecture through the material," said the studio. 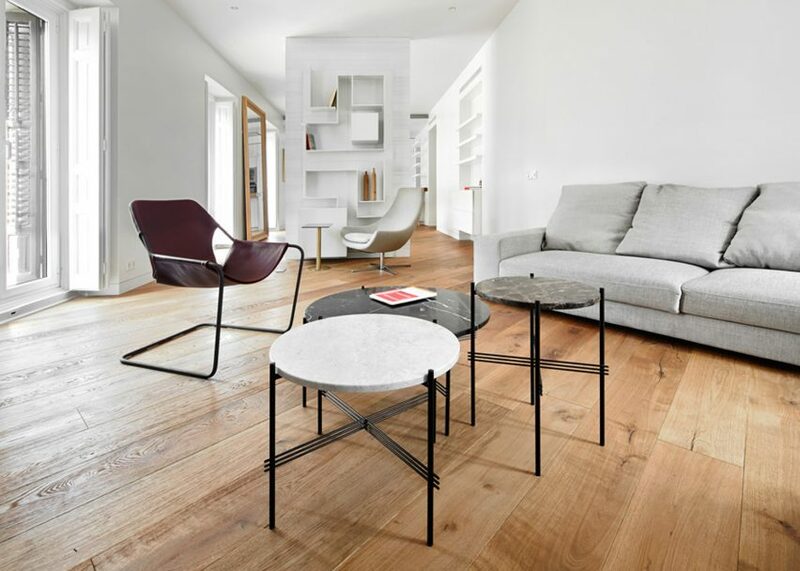 "The use of wood and stone with different cuttings connect with the original tones of the house." Bedrooms are minimally furnished, and storage is mostly contained to walk-in wardrobes across the corridor. 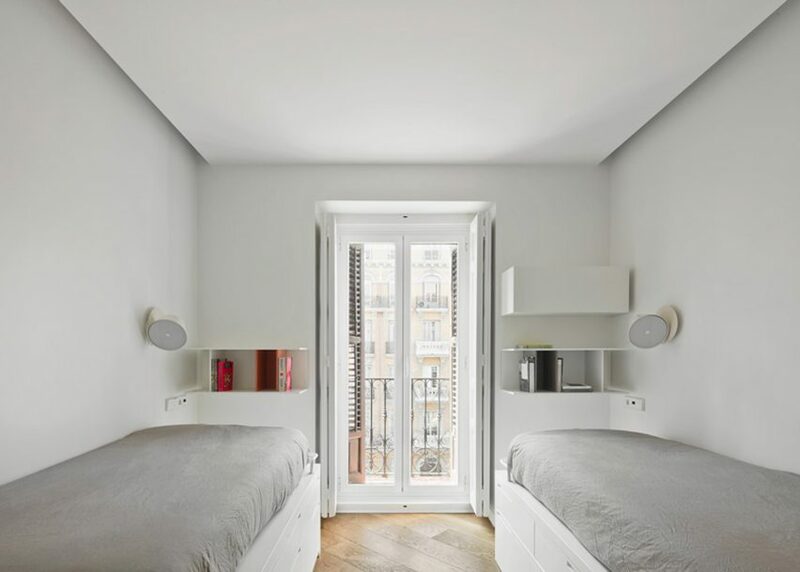 Elsewhere in Madrid, PYO Arquitectos similarly reconfigured an apartment by removing some of its internal walls, while PKMN Architectures opted to add modular storage walls that spin around to create extra bedrooms for guests inside a family home.